Three tabs are open in my browser right now. All about transport and relevant to this region. But none actually qualifying for the full blog post treatment since I have nothing much to say about any of them, other than my readers ought to be aware of them. In his audit, Doyle said that the business cases developed by the Ministry of Transportation and Infrastructure, TransLink and Partnerships B.C. and reviewed by the Ministry of Finance omitted information needed to understand the costs, benefits and risks when comparing SkyTrain, light rail and bus rapid transit options; did not explain ridership forecasts were based on assumptions that placed them at the upper end of the estimated range; and did not describe the risks from changes in complementary and competing transit services. Actually no-one is going to be very surprised by the report. The idea that Translink might actually consider different options for the technology based on actual data seems to be quite foreign to the way things are now done in BC. The line itself was part of the regional transportation plan for years, but the NDP decided to only build the Millennium – which served Burnaby – but not the long promised link to the TriCities. Of course, in places where they do these things rationally, the line would have been built before the area was opened up for massive population growth, so of course it has been, up to now, car oriented. And there have been significant expansions to the road system – including the expansion of Highway #1 and the replacement of the Pitt River bridge. 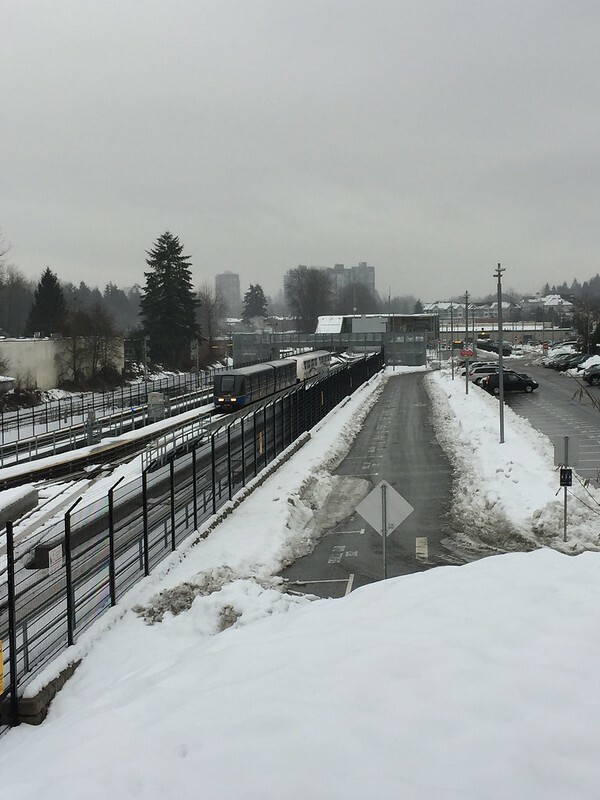 The Evergreen Line was the highest priority for the region, but the province decided to build the Canada Line instead and tied that to the Olympics. “Meaningful consultation with the private sector and significant due diligence is required and we are taking the time to get it right,” the province said. Which seems to me to be an admission that it was not done right, and that consultation with anyone other than business is not important. Crosscut takes a look at High Speed Trains between here and Seattle as result of Jay Inslee (the Washington state governor) announcing a budget request for a $1m study in response to pressure from the private sector. 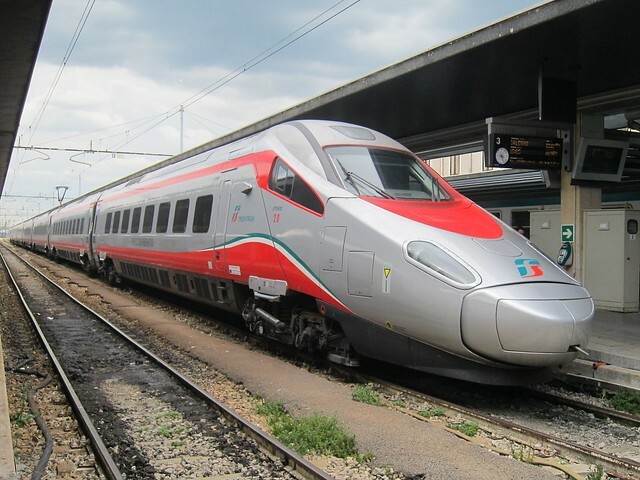 This one happens to be Italian – they developed the Pendolino tilting trains after British Rail abandoned the Advanced Passenger Train after attacks by the press on the “vomit comet”. 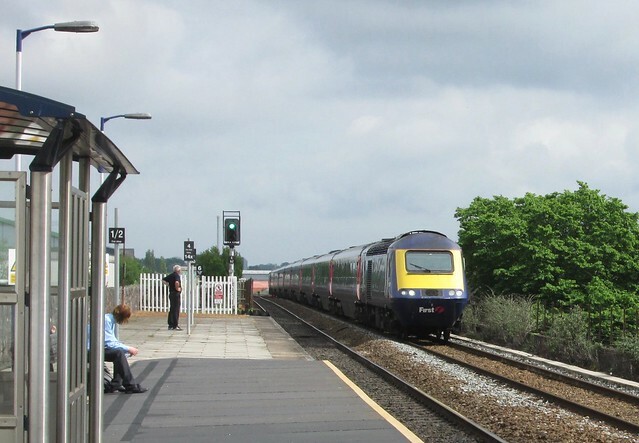 BR did build a very successful 125mph HST forty years ago which did not tilt and runs on conventional tracks unlike the French TGV or the Shinkansen which need purpose built rights of way – fewer curves but can cope with quite steep grades – to achieve higher speeds. Indeed the current Cascades Talgo sets could run faster, if they did not have to fit into slots between slow freight trains. And of course the cost of a new railway is going to be the biggest issue (“$20-$30 billion to build and equip the system”) but that does not mean that much better passenger train service is not entirely feasible at lower cost, and hopefully some kind of incremental strategy will be identified, rather than blowing the budget on the unachievable “best” when “good enough” is going to win plenty of people away from terrible traffic on I5 and appalling inconvenience and discomfort of short distance international air travel. Needless to say, others think that self driving cars are going to be the answer, although realistically are probably further off into the future than self driving trucks as this graphic piece makes clear. 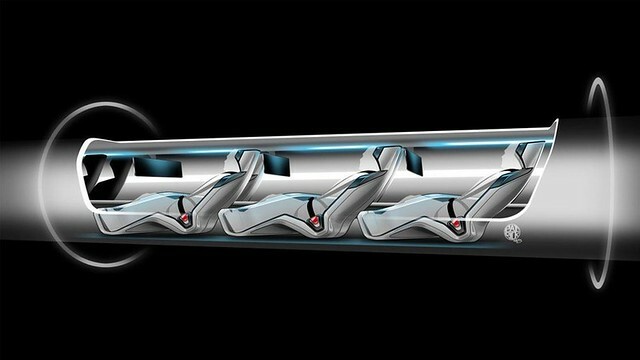 As for the hyperloop, that seems like science fiction to me and even more claustrophobic than space travel. How do you get to your seat? Or use the bathroom? Translink themselves have proven to be quite willing to explore alternative options – see their feasibility studies on running a gondola up SFU, or the various types of buses they have evaluated and operate. In fact the Translink studies on the Evergreen line were split between multiple options with a variety of technologies including DMU trains on the rail right-of-way, LRT, RapidBus and of course SkyTrain. The province stepped in and chose the technology for them at the last minute, wasting all the planning effort they had done. Just want to make sure we’re leaving the so-called blame at the proper doorstep. You may be unaware that when I worked for Translink (and BC Transit) I was actually involved in more than one technology study. The T line was going to be LRT – plans were well advanced when Glen Clark announced the Millennium Line much to the surprise of most of the people at my level. A select few had been told some time earlier but had to keep it a secret while we continued to waste our time. Similarly, a very comprehensive study was done by my then colleague Clark Lim (now at UBC) which also selected LRT for the Coquitlam line – and suggested use of the CP line along the Fraser for future LRT to serve the change of land use from industrial to residential. Again the Canada Line was a provincial choice that ignored regional government’s preferences. What I think is instructive is that the BC Liberals and the NDP were equally cavalier in their attitudes towards local government and integrated land use and transportation planning. Essentially that’s my point; the Provincial government of the day tends to let the more junior levels muddle away on their “cute little planning exercises” just to turn around and tell them Father Knows Best… Go put your toys away now kids, do as I say. TransLink gets enough blame as it is – no need to throw any more on them. Where are the Jordan Batemans when we’re talking about the wasted planning efforts and ignored studies (say like a certain bridge project)… In my mind TL tends to do their best to justify everything they do in a fairly transparent way. Whether anyone listens to them or not is another story.